Harry N. Abrams, 9781617691423, 160pp. Jacob Grier is a professional bartender based in Portland, Oregon, the host of a series of events called Brewing Up Cocktails, and a consultant for several spirit brands. His recipes have been featured in the Wall Street Journal, Imbibe, Los Angeles Times Magazine, and more. David L. Reamer is a food photographer whose work is featured in the cookbooks Le Pigeon and Toro Bravo. Stephen Beaumont is the co-author of The World Atlas of Beer and The Pocket Beer Guide. 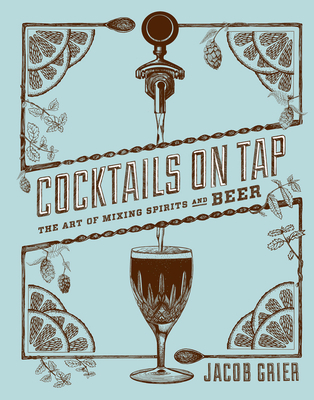 "Jacob Grier is a masterful guide through the wickedly creative terrain of beer cocktails, offering not just delightful recipes, but history and cultural commentary, too. Connoisseurs and neophytes alike will find much to savor, and the latter will appreciate Jacob's tutelage in cocktail basics. Grab a copy and start mixing!" "Jacob Grier was at the forefront of the beer cocktail renaissance before many of us had ever contemplated the idea of a beer cocktail. His vast knowledge of beer and passionate dedication to this area of mixology is certain to push the craft of cocktails forward in a positive new direction."